Nowadays, progressive dies have a special role in various methods of sheet metal production. The design process, however requires a considerable amount of time and expertise. Strip layout design is a key step in progressive die design, therefore automating strip layout has a vital role in Computer Aided Progressive Die Design (CAPDD). In this paper, a mathematical model, based on set theory, is introduced to analyze the problem of strip layout. The model describes the mathematical nature of the strip layout problem and reveals the reason why researchers have always faced problems in optimizing strip layout automatically. Using the model presented, an algorithm is developed to optimize strip layout using the minimum number of stations and the torque equilibrium criteria. A prototype software is also developed to automate strip layout design based on the presented algorithm. The suitability of the model is then demonstrated through industrial examples. Design for Manufacturability is a concurrent engineering strategy aimed at providing the manufacturability feedback to the designers at the early design stages. A group technology coding and classification system for stamping is integrated into a feature-based part representation system. A thin-walled part is designed with features such as flat walls, holes, and intersections. The integrated system can then automatically provide the manufacturability feedback in terms of the cost drivers present at the configuration stage, and in terms of GT part code, relative cost, and redesign suggestions at the parametric stage. 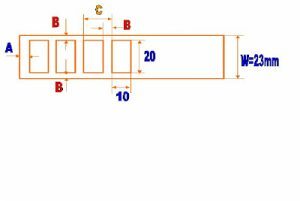 A strip layout module can automatically generate the most acceptable strip layout of a manufacturable stamped part at the configuration stage.^ The heart of the integrated system is the feature-converter. It defines the mapping between a set of design features with a set of manufacturing features. 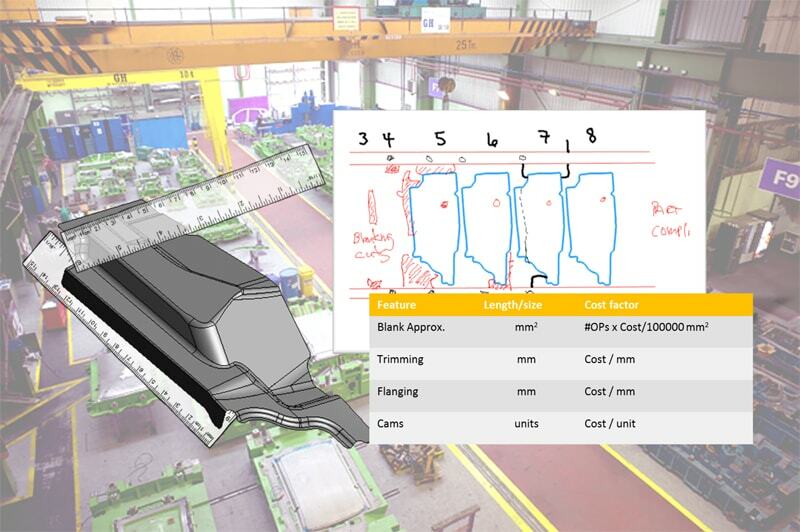 The mapping is an implementation of manufacturing rules based on physical principles and tool designers’ experiences.^ Currently, the parts for which the strip layout can be produced automatically, forms a small subset of the parts for which the automatic manufacturability evaluation can be performed. However, it is concluded that it is possible to implement a CIM system wherein a feature-based stamped part design can first be optimized for producibility, and then the other downstream activities such as the strip layout and tool design can be carried out automatically for at least a limited domain of parts. Stock material conservation is a decisive factor in press working. All possible means should be tired to attain this without sacrificing the accuracy requirement of the piece part.